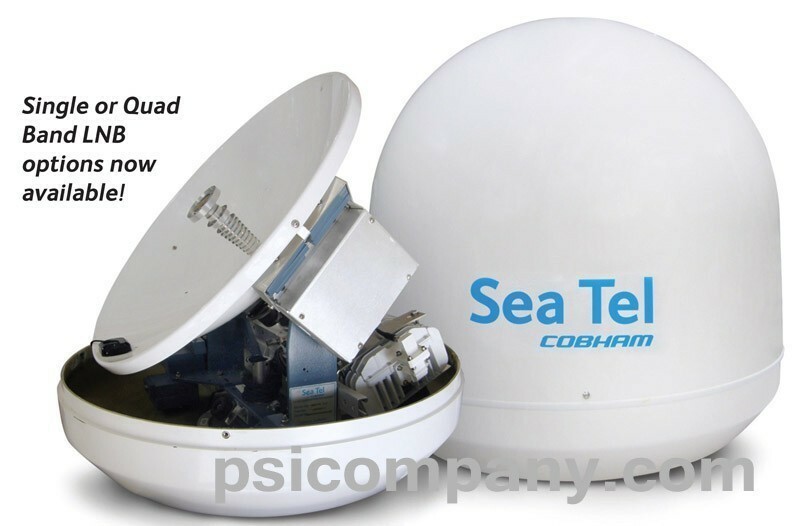 Marine VSAT Defined: A Very Small Aperture Terminal (VSAT), is a two-way satellite ground station or a stabilized maritime VSAT antenna with a dish antenna that is smaller than 3 meters. The majority of VSAT antennas range from 75 cm to 1.2 m. Data rates typically range from 56 Kbit/s up to 8 Mbit/s. Marine VSAT's access satellites in geosynchronous orbit to relay data from small remote earth stations (terminals) to other terminals or master earth station "hubs" (in star configurations). VSAT is most commonly used to transmit narrowband data (point of sale transactions such as credit card, polling or RFID data; or SCADA), or BroadBand data (for the provision of Satellite Internet access to remote locations, VoIP or video). Marine VSAT are also used for transportable, on-the-move (utilizing phased array antennas) or mobile marine communications. Marine VSAT is a full service solution offering high quality always-on voice, Internet access and Local Area Network (LAN) communications at a fixed monthly price.